Like most people my age, I was first exposed to Falk as the Grandfather/Narrator in The Princess Bride. And after his hilarious turn in Jon Favreau’s Made (“BECAUSE YOU LOST MY CARPET CLEANING VAN AND I DON’T LIKE YOU!”), I was curious to see more. And that’s when I discovered it. Aside from Columbo, Falk was best known for being a member of the John Cassavetes troupe, making genuine independent films on a shoestring budget, that were, usually, released to much fanfare. Titles included Husbands, Opening Night, and, most notably, A Woman Under the Influence. Released in 1974, A Woman Under the Influence is inarguably one of the very best films released during the best decade of American cinema. It’s about Mabel (played to delirious perfection by Gena Rowlands), whose mental instability quickly grows too much for her husband, Nick (Falk), to bear. Nick is a blue collar, regular ol’ Joe, and although he means well, his strained patience leads to sudden outbursts. Soon he sends Mabel to a treatment center where she can receive the adequate care he cannot, or will not, provide. For the past few days, I’ve read countless Peter Falk In Memoriams, all of which touch on his role as Nick Longhetti in A Woman Under the Influence. Most of these articles are written by film critics who have forgotten more film history than I will ever know, but it’s incredible to see how opinions differ so drastically concerning Nick. Mabel is a bad mother, and a worse wife. She cheats, neglects, and is often cold and dissonant, all characteristics that can be attributed to her illness. Upon first viewing of the film, I felt pity for Mabel, but still regarded her as a lost woman, nearly broken beyond repair. In short, I saw her as the villain. When I watch the film now and carefully study Nick, or, more accurately, Falk’s portrayal of Nick, it’s clear to me that Nick is the lost one, broken beyond repair. A husband can’t be faulted for not knowing how to care for his mentally ill wife. But Nick’s ignorance on the issue is as shocking as anything Mabel does in the film. Nick does several deplorable things, he shares a six pack of beer with his pre-teenage kids, screams, hits and berates Mabel during her frequent episodes; all of which contribute to the regression of his wife. In one emotionally horrific scene, Nick demands that Mabel, fresh home from the hospital and feeling better, go back to her usual ways. He orders her to scream and shout and make her standard vocal and facial tics. Everytime I see the film, I try to understand Nick’s motivations in doing this. Why is he so intent on erasing Mabel’s progress? Why does he want to keep his wife ill? To be honest, I’m not sure, which is a credit to Cassavetes’ direction and the flawless performances of Falk and Rowlands. Intentions left unspoken are far more cinematically intriguing than having everything spelled out. Those awful, never ending monologues that so many American directors rely on today, the ones where the villain (or whoever) unveils every little plot detail just to make way for a bow-wrapped ending, are equivalent to a magician revealing his tricks. A Woman Under the Influence is a masterpiece, but a tough one to get through. It runs longer than two and half hours, and sustains a fierce emotional brutality throughout. You haven’t seen manic arguing until you see Mabel and Nick go at it. Mabel acts the way she does because of her illness, but Nick’s motivations are far from solvable. It’s a character that keeps evolving and adding new dimensions. It’s the type of performance that lives on; long after its creator has passed. 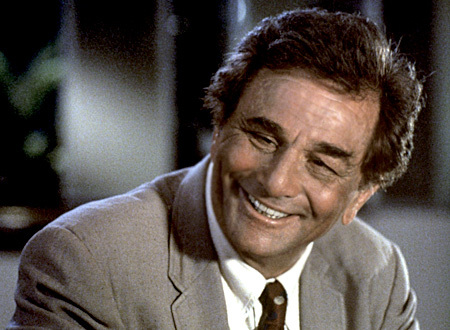 Peter Falk died on June 23, 2011 from complications stemming from Alzheimer’s. He was 83 years old.